Cristiano Ronaldo is nearing an imminent move to Italian champions Juventus, as reports are gaining regularity in recent days. The Italian champions are ready to offer the five-time Ballon d’Or winner a lucrative contract to leave the Bernabeu. Ronaldo himself is believed to be keen to push through a move to Turin and play for another big club like Juve. On the other hand, Real Madrid are prepared to allow the Portuguese international to leave after nine successful seasons in Spain. Earlier, reports suggested that Real will be accepting a bid for the player in the region of around £88m. And now, Ronaldo’s agent, Jorge Mendes, has gone on to add more weight on his transfer. 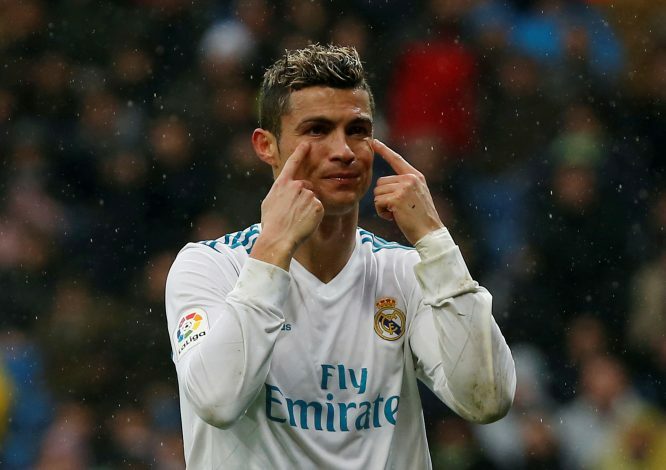 As per a tweet from Sky Sports journalist Fabrizio Romano, Mendes has stated that Ronaldo will be grateful to everybody associated with Real Madrid, and he will be joining a top club to continue his career – provided he does decide to leave the Spanish club. “If Cristiano will leave Real Madrid, he’ll be always grateful to the club, the president, Real Madrid fans. If it will happen, he’ll join a top club to continue his great career,” Mendes has been quoted as saying. This is huge news for everybody concerned. Ronaldo has been the best player for Madrid since the time he joined the club, and he will add a lot of value in this Juventus team. At present, fans in Turin are excited with the prospect of Ronaldo making an imminent move to their club. The excitement levels were quite evident when Juve midfielder Blaise Matuidi expressed his excitement at having Ronaldo as a teammate when asked about the possibility.